Stunning home surrounded by an amazing oasis of beautiful trees. 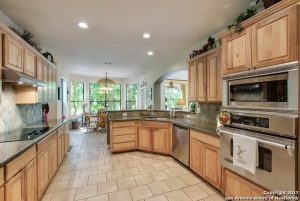 Large private dining, kitchen has granite counters, tile backsplash, built in oven w/flat cooktop, ss appliances, & breakfast bar. Eat in breakfast area has bay windows. 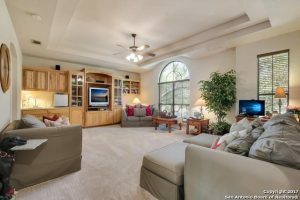 Living room has soring ceilings; stone fireplace and a panoramic window that will feel like you are bringing the outside in. Beautiful master suite. Large flex room with custom shelving. Backyard is a serene escape perfect for entertaining with multi-level deck & a fireplace. 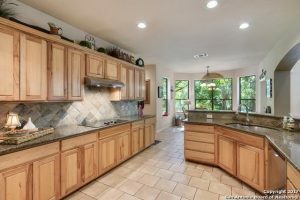 Long Meadow ,is one of the most desirable areas in the entire Spring Branch TX region. With excellent schools and a close proximity to the city. it’s an oasis just inside of the city. Thank you for reading about 537 Long Meadow Spring Branch TX 78070.